This happens because import EDF tries to use database connection and you don’t have it on your Exploratory Desktop. Below is the step to workaround this issue. 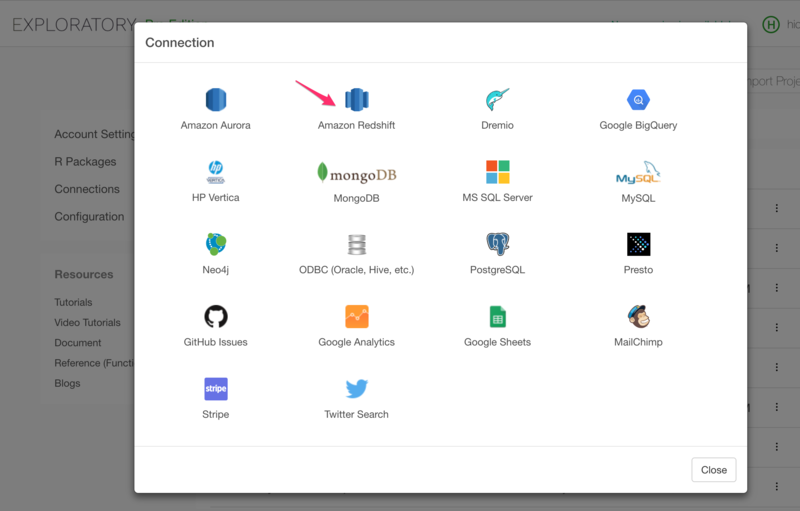 For example, If the conneciton is for Amazon Redshift, then you can create a Redshift connection by following this document. Open Terminal App and find the newly created connection. And you’ll find the json file name for the newly created connection. ID is the one you see in the error message. So in this example, 05aab8889257 is the ID that you need to use for the conneciton file. Then you should be able to update/refresh data frames, charts, notes, dashboards on the EDF that you imported.